Greg / July 28, 2015 / Comments are off for this post. It is the time of year when many families are packing their bags and heading out for a week or so to enjoy their family vacation. While away on vacation, I’m sure one of the last things on anyone’s mind is, “Are we conserving energy at home right now?”. However, perhaps that thought should cross their mind. I mean, why waste, and pay for, electricity that you are not even using? To help make sure you are not wasting energy at home while you are away this vacation, here are several energy saving tips from Bounce Energy, to make sure you are saving as much energy and money as possible. You might be thinking, “No one is home playing video games or running the air conditioner, so we’ll automatically use less energy!” Well, just because your house is empty of people, that doesn’t mean that the appliances and lights have stopped sucking electricity from the grid. Thankfully, homeowners can save a significant amount of money by practicing a few simple energy saving tips to keep their electricity usage down while on vacation. With everyone out of the home for a few days, there is no reason to keep the heater or central air running, unless pets will be left at the house. Even with a pet or two in the home, you shouldn’t set the thermostat for 72 when there is no one there to enjoy it. Instead, during the hot summer months, the thermostat can either be set for 90 or turned off completely. For every degree a thermostat is raised during the summer, a homeowner will save 2-3 percent on his or her electricity bill. If a thermostat usually set for a steady temperature of 72 degrees is raised to 90, then, at a minimum, this will result in a 32% savings on the electric bill for that period of time. If the home has a programmable thermostat that can be adjusted by date, then it can be set to change the temperature the day of arrival, so the family will come home to a comfortable household. The water heater is one of those appliances that people don’t think about on a regular basis. It sits in a out-of-the-way part of the house (usually the basement or attic) heating your water, and you only remember it when the water runs cold during a long shower. It’s also easy to forget about when leaving on a vacation. Before heading to the airport, shut off the circuit breaker to the water heater. If you have a gas heater, turn the gas valve off to be safe. Upon returning home, the hot water tap should be allowed to run before the power and gas are turned on to make sure the water tank isn’t empty. It can damage the unit if the tank is heated without any water in it. If you go on a winter vacation, you should leave the water heater on at the lowest possible (or “vacation” setting) to keep the water from freezing in the lines and tank. Even with the home empty and the television and major appliances turned off, they are still using electricity. We call them “energy vampires.” Before the family leaves, someone should walk around the home and unplug every unnecessary appliance and electronic. This doesn’t just include the television, lamps, and entertainment center. Small electronics like electric razors, coffee pots, digital clocks, and cell phone chargers all drain energy when plugged in. Nothing needs to be moved, simply unplugged. This not only saves energy, but also eliminates a possible fire hazard if there would be a power surge while no one is home. People don’t want their houses to look unoccupied while on vacation, because it’s easy for burglars to spot. Many times, the easiest thing to do is leave a light or two on inside to keep it lit during the evening hours. This could be a lamp in the living room or even a larger light that may provide light for the entire dining room. While this is a good safety idea, it’s an unnecessary waste of energy with the invention of automatic light devices. These devices place the lights on a timer, so at a specific time of the day certain lights will turn on and off, as needed. It gives the illusion of being home and prevents wasted energy by keeping lights off during the day. If you don’t have an automatic light timer, just ask a friend to visit the home every couple of days to turn on a light at night and turn it off during the day. This is an easy task, especially if they are already visiting to help with pets or plants. Saving energy doesn’t always require using or not using something electrical. Most windows in a home have either blinds or curtains. Usually, they are used to let light in or keep light out, but when on vacation, they can be a useful way to conserve heat energy. The refrigerator is the electronic equivalent of a V-8 gas hog, sucking electricity like a chrome-covered high-performance engine. An extended vacation gives you the opportunity to get rid of the food in the fridge, clean it a bit, and unplug it. If the house is vacant for only a few days, it’s not worth the trouble to unplug the device, as much of the food will still be good upon return, but extended stays are a different story. Before leaving, the homeowner should unload the food and clean out the refrigerator thoroughly, leaving the doors open to air out. Also, placing a box of baking soda in the freezer and refrigerator will draw in the moisture and help prevent mold growth. Taking the refrigerator offline will save a significant amount of energy while nobody is home. As an alternative to turning off the refrigerator, the refrigerator temperature can be set around 42 degrees and the freezer around 5 degrees. This is enough to keep everything cold and frozen, but still save energy over the vacation period. As a precaution, it is a good idea to clean out the refrigerator of any leftovers, raw vegetables, and other perishables, and keep only new foods that won’t spoil while the house is empty. Vacations can cost a significant amount of money for a family, even with all of the fun you’ll have together. It’s nice to know that, by practicing these tips and tricks, you can save money on electric bill by drastically decreasing your electricity while you’re out of the house. When recovering from the cost of a vacation, every little bit helps. Bon voyage! Greg / July 17, 2015 / Comments are off for this post. With the “Dog Days” of Summer approaching, many people are trying to figure out how they are going to keep their gardens lush and green during the hottest (and often driest) time of the year. Maintaining a garden during the hot summer months is definitely no easy task, however, it is not an impossible task either. As these tips from Quicken Loans, will show you, keeping a lush garden and/or lawn may be easier than you think. These tips are also meant to help minimize your water usage when gardening this summer. A lush green garden without a hefty water bill? Sounds pretty good to me! Many people living in dry areas have developed rain collection systems to reduce their dependency on local water systems. Something as simple as putting a few five-gallon buckets in your yard when it rains can reduce your dependency on municipal water. If you’re interested in going bigger, rain collection systems start at about $60 and hold about 40 gallons of water. The more money you shell out, the bigger and more elaborate the system you can get. A friend’s mom recently told me about this and after reading more about it I might go pick up some mulch after work tonight. The idea behind this is that you water the garden beds or pots really well and cover the soil with mulch right after. The mulch acts as a moisture barrier, preventing evaporation. As an added bonus, mulch also helps to keep weeds away. If I don’t have to weed and water so much, this sounds like the perfect option for me! If you water your garden or lawn during the hottest part of the day, which is usually around 3 p.m., more water will evaporate than if you water your landscaping during cooler parts of the day. I try to water my garden in the morning before work and after dinner at night. This ensures the maximum amount of water reaches the deepest roots rather than vanishing into the air. If your local forecast calls for hot conditions and no rain for a few days, hold off on cutting your grass. According to Scott’s Lawn Care, allowing your lawn to grow taller will result in deeper roots. It’s easier for deeper-rooted grass to locate water in the ground during dry conditions. Besides, who wants to cut the grass when it’s excruciatingly hot outside anyways? Take a break and let your lawn go for a while. Even the most dedicated landscaper hates weeding, but getting those pesky, unwanted plants out of your garden and lawn helps increase efficient water usage. 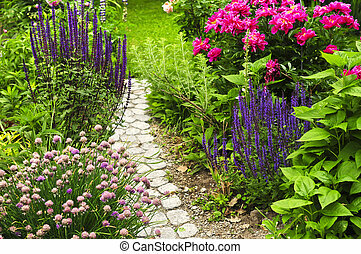 By removing weeds, your garden plants and grass aren’t competing for water. These few simple tips can help save your lawn and garden during those rainless summer days, and won’t drive up your water bill. Western Disposal Free Shredding Event, Sunday, August 9th. Greg / July 16, 2015 / Comments are off for this post. If you are a present customer of Western Disposal and are in need of confidential documents being shred, then you may want to put these dates on your calendar. Western Disposal is hosting two free shredding events in 2015, Sunday, August 9th and Sunday, October 4th from 9 a.m. to 12 p.m. If you are a customer of Western Disposal you are welcome to bring your confidential materials, such as tax returns, medical forms, bank statements, etc for safe and secure destruction. There is a limit of 5 copy boxes or 5 32-gallon bags weighing no more than 35 lbs each. There is no need to separate the confidential materials, and clips and staples are okay to leave in. Folders and notebooks are okay, but please do not bring 3 ring binders as well as there are no phone books, catalogs or magazines being accepted for this event. If you are interested in dropping your paper documents to be shredded on Sunday, August 9th or Sunday, October 4th, you will want to take these to Western Disposal’s Trash & Recycling Center located at 5880 Butte Mill Road in Boulder, Colorado. This event is also a good opportunity to give back to the community as there will be two non-profit organizations there collecting any unwanted bicycles or bicycle parts in any condition to be reused by Community Cycles, and Crayons-to-Calculators collecting any spare change that you may have to be able to provide school supplies for local children in need. If you are needing more information, you can find it at www.westerndisposal.com. Greg / July 7, 2015 / Comments are off for this post. This past weekend was of course, the 4th of July. And, like millions of other Americans, I celebrated our nation’s Independence Day, outdoors at a barbecue. Unfortunately, my friends and I weren’t the only ones enjoying a 4th of July feast, everyone seemed to be getting eaten alive by mosquitoes! Eventually, somebody ran to the nearest open pharmacy and picked up bug spray. After using the repellent on our arms and legs, not only did we all reek of the chemicals in the spray, but we all felt sticky and gross until we eventually just hosed it off. It became a bit of a catch 22, “Do we stink and feel gross? Or do we get bitten?”….Many of us decided to just deal with the bites. 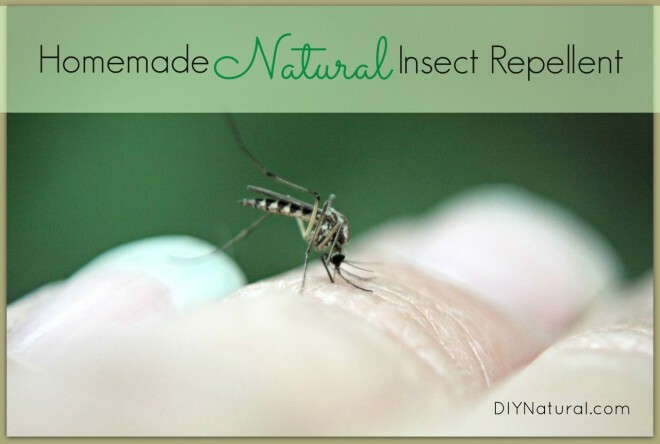 If this happens to sound like typical summertime problem to you, then I suggest you take a look at this recipe for an all natural homemade bug repellent spray, from DIY Natural.